Germany doesn't have the most storied history when it comes to ice hockey but the handful of German players that have made it into the NHL, it is an accomplishment and something to talk about. 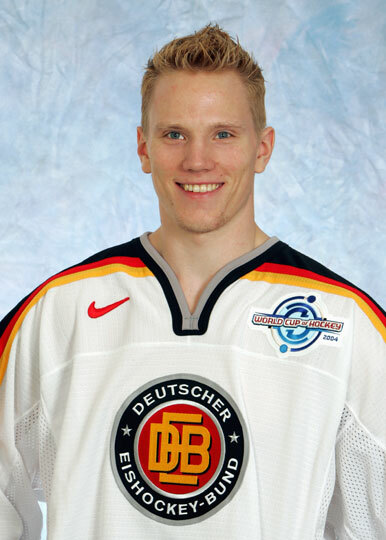 In a country dominated by soccer, Christian Ehrhoff took the second most traveled athletic route when he chose to put on the skates and dreamed to be National Hockey League player and never looked back. 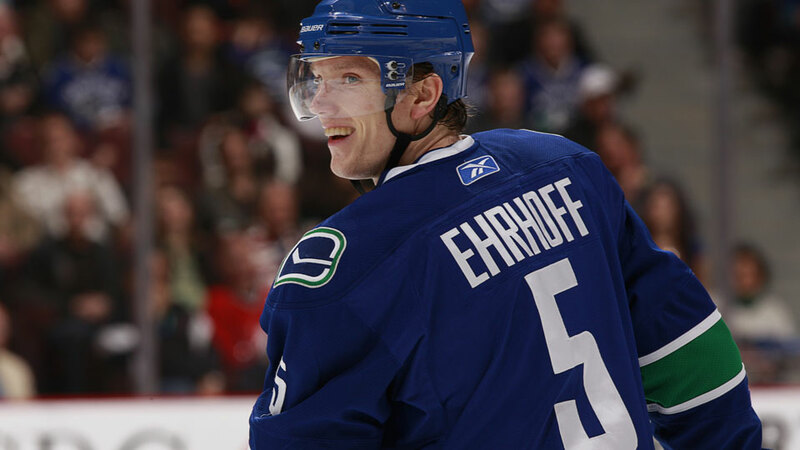 Ehrhoff shares his tales from his road to the NHL. I don’t remember when I got them but I remember when I got my first complete gear for Christmas. I took a picture under the tree with everything - the jersey, skates on and a big smile on my face. I wanted to play hockey so that’s what they got me that year. The Krefeld Penguins when I was six. 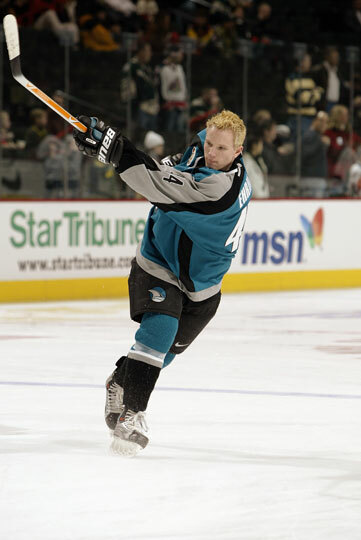 I remember in my first game, in one of my first shifts, I got a penalty shot and I didn’t even know what that was. I just skated down and shot the puck and missed. My older sister was doing figure skating and I went along and skated a little bit on the ice, then I saw a hockey game on TV and I said, ‘That’s what I want to do’. My parents, then took me to a hockey team and that’s how everything started. I didn’t do any figure skating but I skated a lot - but you couldn’t call that figure skating. What role did your family have in helping you get to the NHL? Getting into hockey not as big because they had no background in hockey - my dad can’t skate. But they had a huge part in me playing hockey because the rink of the Junior team was 20 minutes away so they had to drive me to every practice until I was 18 so they’ve had a huge part in my career. My dad is a drummer and he still plays in an oldie band so this was at Christmas when I got a drum set. This is the first time I tried it out. I’m not sure but I must be maybe seven or eight but I’m not entirely sure. 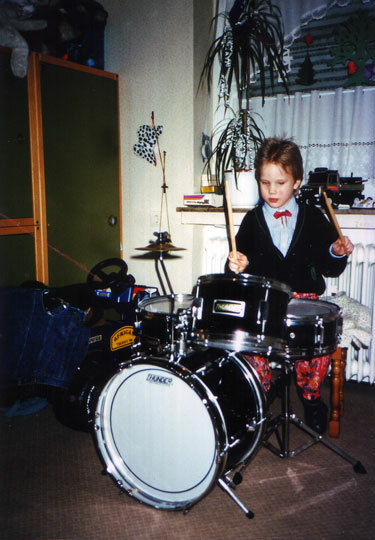 I learned to play a little piano but never taken up the drums. When I was 6-10 years old, we had a really good team and probably won every tournament we played so that was a lot of fun. And I think when we were 12, we won the official German championship in the tournament. I made the penalty shot in the final so that was a good memory. Krefeld is a pretty good hockey town. They always have a team in the upper league and they have pretty good crowds and a pretty good junior program. But of course, hockey is not as close to being as big [as it is in Canada], soccer is number one in Germany. For me [choosing between hockey or soccer wasn’t difficult] because hockey was my love. I always wanted to play hockey. Probably Wayne Gretzky was one of my favourites and I loved watching Pavel Bure. 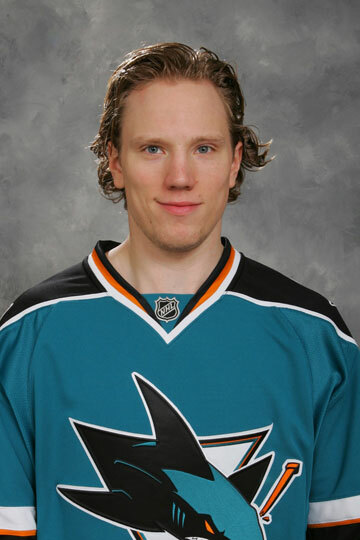 Uwe Krupp was the only German in the NHL at that time so I looked up to him. The coverage of North American hockey was pretty slim in Germany - maybe once a week, there was a half hour show called ‘Power Week’, where they show highlights and that was pretty much it. Then in the playoffs they showed the games live so that’s when I got to see a few games. Gretzky was the best player at the time and Bure was pretty flashy and a fast skater with great moves so it was fun to watch his highlights. You go in the backyard and you imagine yourself being in the NHL and doing those moves, trying those but definitely as a kid, I tried to copy the moves that the pros did. Always keep following your dream no matter what others say. You always have to work hard and believe in your dream and try to follow it. For Germans, it’s pretty rare to make it to the NHL - there are only a few in the NHL - so I beat the odds a little bit but like I said I just believed in myself. Even when there were a lot of doubters that didn’t believe I would make the Senior team in Krefeld, I never doubted myself and I always worked really hard. I kind of took it one step at a time and here I am. Yes, sometimes when you have a second to just sit back and think about everything and about how you got here, you realize what you’re doing and to know you have a job that you love, it’s really special. I’m very fortunate to be in that position.